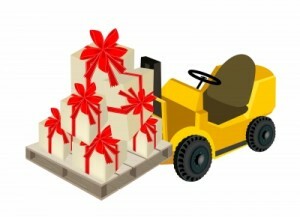 What are the most important things about forklifts? Most people think of power, safety features, lifting capacity and stuff like that. Luxury and comfort are probably the last things that would come to mind. But there are a few “luxury forklifts” on the market that give the lucky driver extra space, more comfort and even more safety features than most every other lift out there. These forklifts are popular choices for companies that have some extra money to spend. The Omega 14-16T Forklift Truck – this luxury forklift is packed with features. Used in dockyards, steel mills, concrete plants and even for logging work, the Omega 14-16 Ton range lift has a luxury cabin with extra space, not to mention comfortable fingertip controls and a suspension seat. Anyone using this forklift will enjoy some of the best safety and comfort features around. The lift also has a ZF 3WG 3 speed transmission with electronic control. Wet disc brakes also add extra comfort and safety. The FUDA FD-50 Luxury-Type Forklift – a popular forklift overseas, this lift should make an impact in America very soon. The FD-50 has a roomy cabin, giving the forklift driver plenty of space. The suspension system is also first-rate, so those bumps and uneven floors aren’t a problem. Plus, this forklift also features a 5-ton capacity, ISUZU engine, adjustable lifting height and a maximum weight of 8340 kg. CertifyMe.net helps forklift drivers, no matter what type of lift they drive. We help companies like Harley-Davidson, U-Haul, Siemens, Snap-On, Verizon and Penske with all of their forklift training requirements. Best of all, our online courses can be taken 24 hours a day, 7 days per week, 365 days per year. If you’re interested in learning more about CertifyMe.net and our complete offering of training courses, you can visit our contact page or give us a call at (888) 699-4800. Our friendly customer service team is ready to assist you in any way possible, whether you’re a single driver that needs training or a large company with OSHA issues. Thanks again for considering our service – and thanks also for reading our blog!